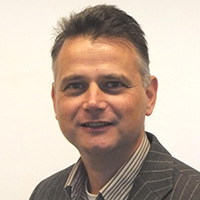 Henk-Jan joined Eastman in November 2014 as Product Steward for the European Coatings Business organisation, focusing on VOC-regulations and Ecolabels. In 2016, he became the Global Product Steward for the Adhesives business. He is also active in the field of REACH and food contact related Regulations across all Eastman businesses. Henk-Jan holds a PhD degree in Chemistry from the University of Pretoria, South Africa, and has a post-graduate diploma for Safety Manager in the field of Safety Engineering in Utrecht, The Netherlands. Over the past few years, more and more attention has been directed towards measuring and understanding the migration of contaminants from food packaging materials into food. Government agencies, players in the food packaging value chain, and consumer organisations are striving to reduce the exposure of consumers to chemicals finding their way from packaging materials into the food they protect. As both food and packaging materials are very complex, it is critical to understand for all types whether they contain potential migrants, whether these represent a risk to human health, and how they can be distinguished from other components of the overall packaging system. This presentation will discuss the challenges to detect and interpret migration caused by hotmelt adhesive raw materials.